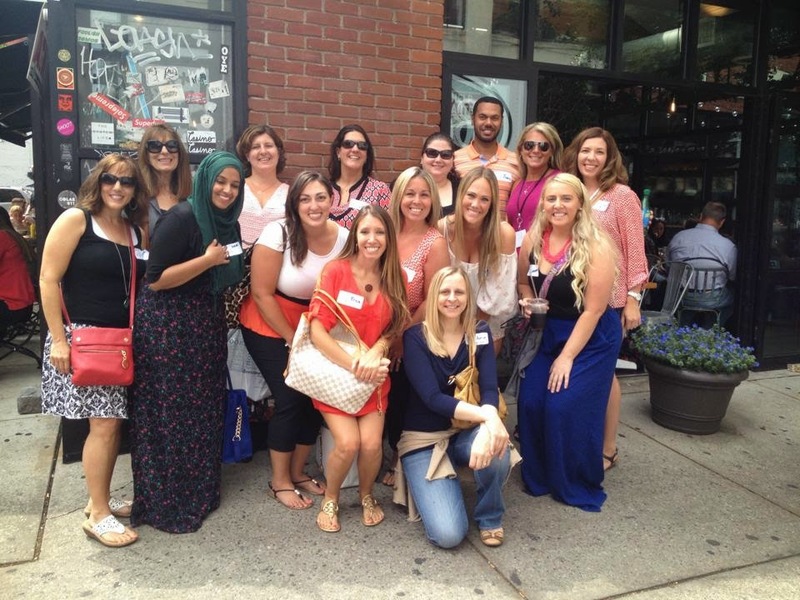 We are all TpT sellers and bloggers from New York and New Jersey! I guess I had meet-ups on my mind, because after the TpT meet-up in Princeton, I was so fortunate to get another chance to meet more sellers! We all met at Soho Park in NYC, then trekked (one block) to the TPT offices. 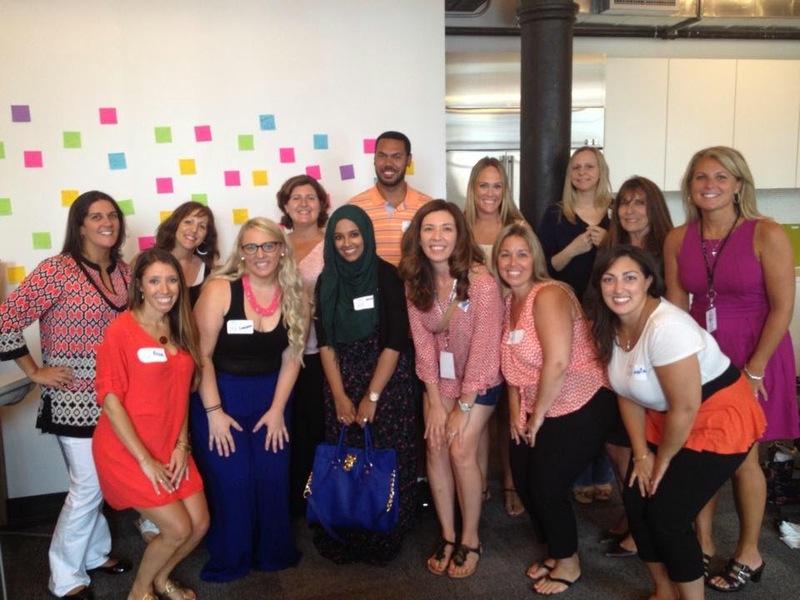 I had such an amazing time getting to know people from all over the tri-state area. Special thanks to Erica Bohrer (Erica's Ed-ventures) for organizing, and Danielle (Study all Knight) and Christina (School Daisies) for taking the trip in from Metro-Park with me. From bottom left: Erica, Lauren W, Amna, Christina, Anna, Me! The group with Team TpT! Thanks so much to TPT for opening your office to us. We could have stayed and chatted all afternoon! One more thing! 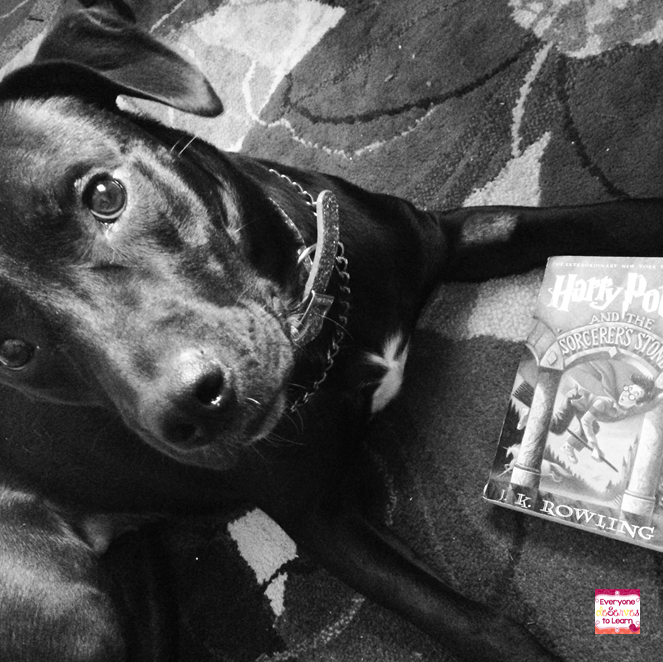 Everyone deServes to Learn is now on Facebook! What?!? How did it take me this long? My library has been hosting arts and crafts afternoons this summer, and I finally got to spend an afternoon with the ladies who craft. The library supplied all the paper, cardboard, glue, and tape...but some women brought their own glue guns. BYOG? Those were the serious crafters! Want to see what we made? The finished product. Want to learn how to make it? Keep reading! 25 6"x6" papers. 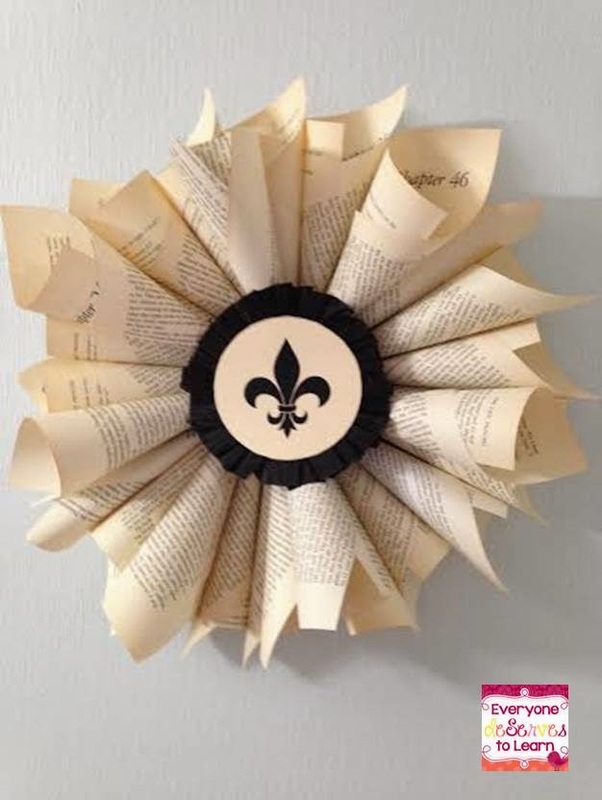 You can use book pages, newspaper, scrapbook paper...whatever you want! Start by making cones out of your papers. Tip: make one and then use it as a template for the others. Here's what they will look like. Try and make your cones about the same width. They don't have to be pointy at the bottom so don't spend too much time! Arrange them how you'd like over your piece of cardboard. The BYOG crafters drew circles on their cardboard to help them...I'm not that fancy. Glue down until you've used up your cones. I put some of mine as a second layer on top since they didn't fit on my cardboard. Take your smaller strip of cardboard and cut it into pieces. At the same time, with your other hand, (just kidding!) cut out your image on cardstock. Don't glue yet! Stack your cardboard pieces (you can glue now) until your cardstock image clears the cones. You don't want the medallion to be crinkled or crumped <-- word? Word. Then place the plastic-y velcro on the top cardboard strip. Place the soft velcro on the back of the medallion. This makes it interchangeable, and you can just make a new medallion for different seasons or holidays. As an optional addition, crump/crunch/scrunch some crepe paper around the medallion to make a border, secure with hot glue. Last but not least, hot glue some ribbon to the bottom cardboard piece. Hang, et voila! 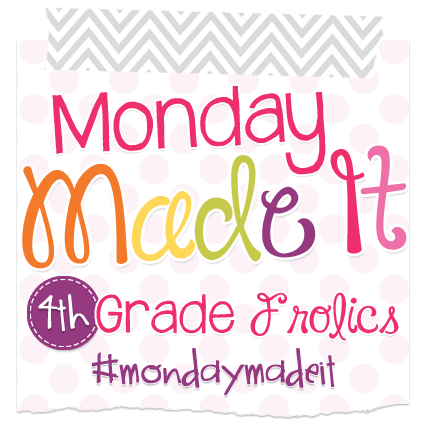 For more amazing crafts, head over to Monday Made It! So, you have ESL students in your class this year? If you've never had English Language Learners (ELL's, ESL students, ESOL students, EFL students) the job can be pretty daunting. Even if you've had ELL's for years, your incoming students may not have the same background as your former students. Teaching ESL students is not something to fear- I've put together a few tips to guide you through your first week. This page can be found in the K-2 Back to School Ebook on Teachers Pay Teachers. A peer buddy is a great way to take some pressure off you the first few days. 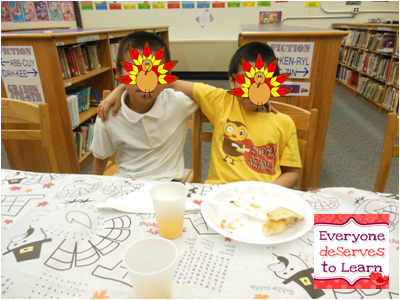 The peer buddy can be an older student, a student who speaks the same language, or a student who is looking for a friend. 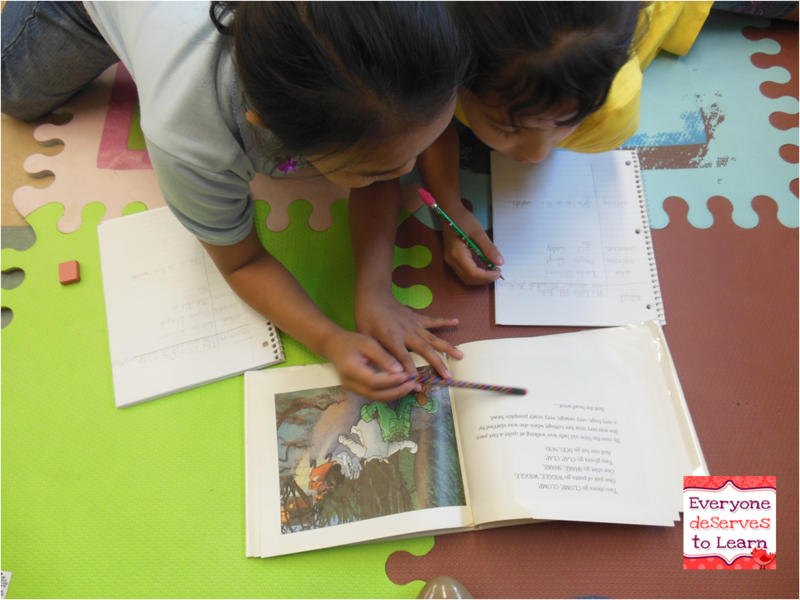 Buddy-ing up your ELL student with a native English speaker will not only open up a whole realm of social language (playground talk) where you mostly speak in academic language (school talk). It's a great way to build confidence and self-esteem for both students! Your students want so much to be included in activities along with the rest of the class, but you may notice a hesitation to participate. This may come from the fear of not knowing what to say or how to say it. 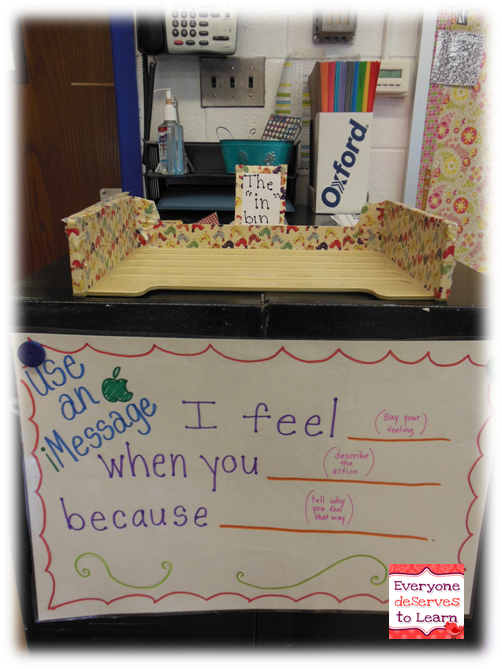 Lessen the speaking anxiety by providing sentence frames. For example, if you ask, "Do you want pizza or hot dogs for lunch," prompt (if needed!) 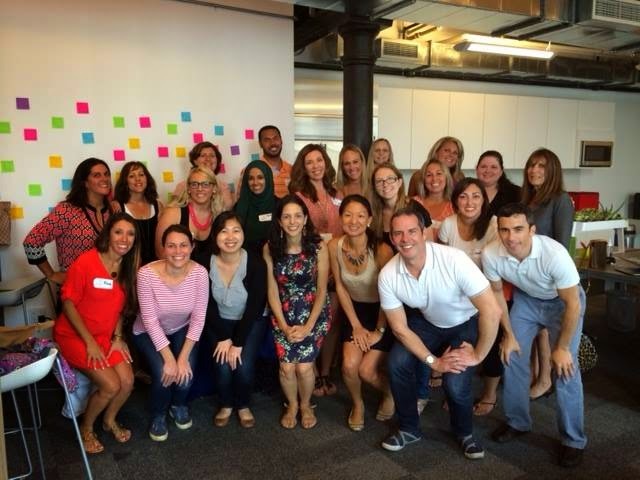 by leading with, "I would like ______ for lunch." Sometimes it helps to put your most frequently used frames on sentence strips. Scoot, Read the Room, 4 Corners...all great games. However, if there are only words on your task cards your ELL student may not understand the meaning or context. Provide a print-rich vocabulary by labeling the room with pictures AND words, and try to make sure your task cards are appropriate for students' proficiency level. Ask your administrator or ESL teacher for as much information about your student as possible. I always send my teachers the students' individual proficiency levels, a copy of their WIDA Can-Do descriptors and a little personal background (family, prior education, issues with certain topics, etc). At my school we often have charitable organizations registering students, and we've implemented a basic information form to help us with the process. Hopefully your admin can provide you with some information! Think of yourself as the welcome wagon. You may be the first contact your student has to speaking English , perhaps even the only contact. 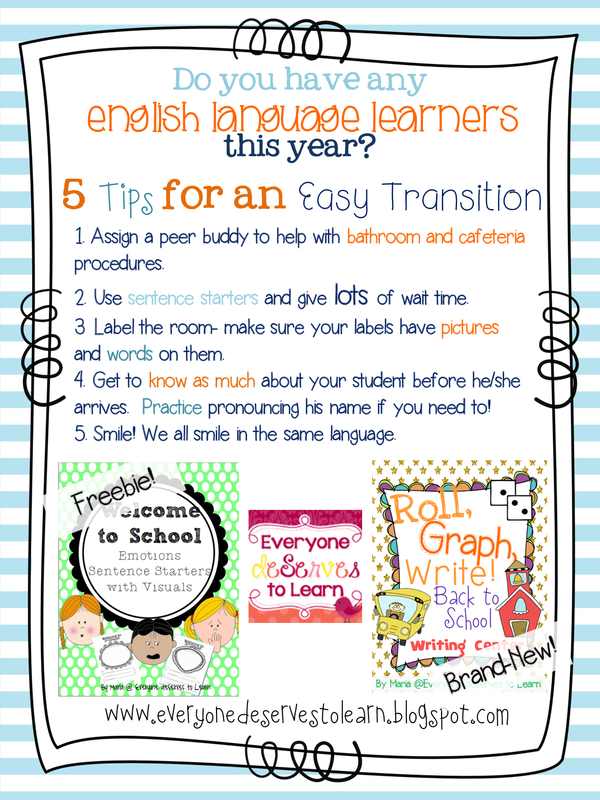 Learning English can be a daunting task, so try to make your student as comfortable as possible for the first few weeks. Good luck this year! Do you have any tips to share? Post them in the comments! 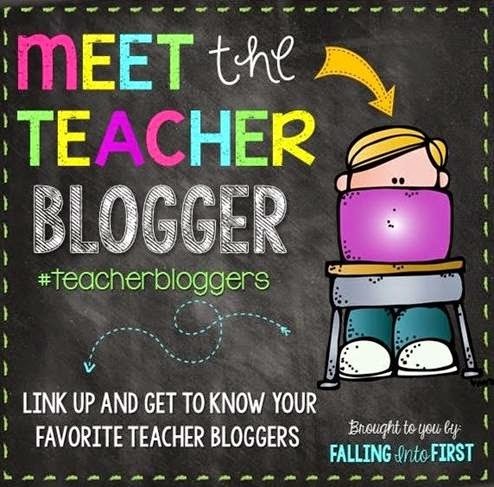 What a great idea from Stephanie at Falling into First! 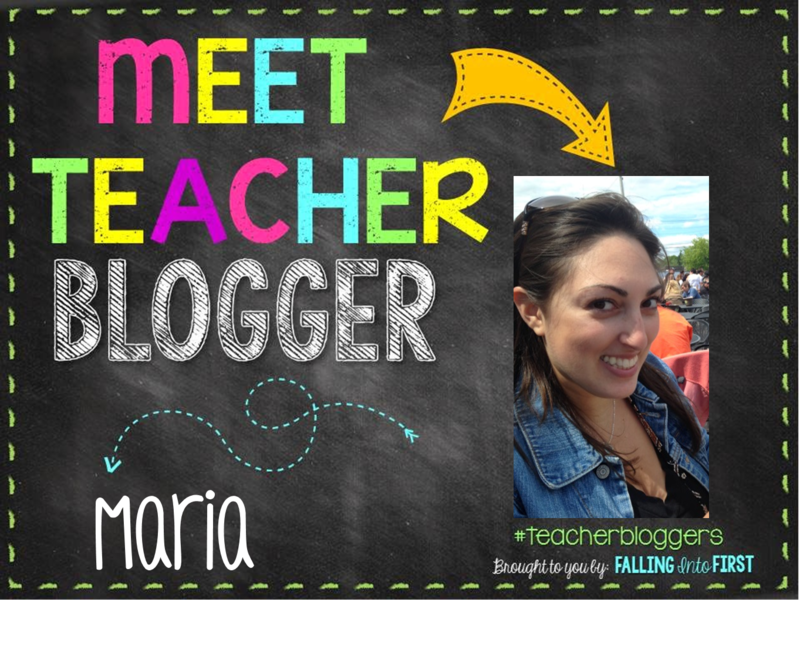 Have you seen the other great link-ups from some fabulous bloggers? I couldn't resist joining in the fun! That's me- Maria. I'm 27 and live in South Jersey with my husband and new fur-baby, Lacey. This is my 6th year teaching, 5th year teaching ESL, 4th year in my district. I didn't major in education; I got my certification through the alternate route program, which was a great option for me. I have taught French, Basic Skills, and ESL, and I'm currently working on my 2nd master's in administration. This is us on our recent trip to Maine. 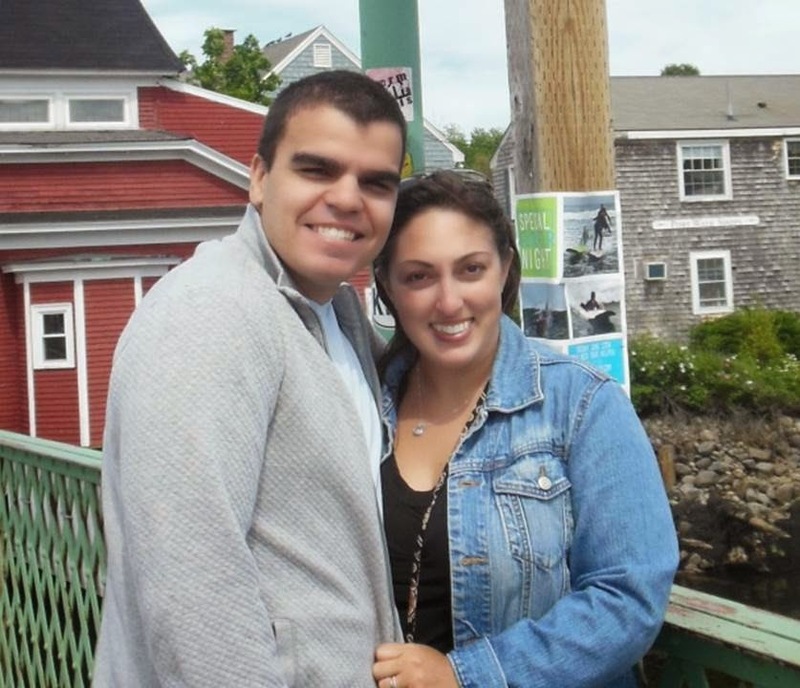 We had a great time in Kennebunkport and Freeport. My husband and I met our freshman year of college and have been together ever since. This is Lacey, giving us her "What do you mean that's not a toy?" look. She's a work in progress! The beach. Reading books from the library. Netflix binge watching. Kirkland's. My grandmother's jewelry. French food. Italian food. Most food. Although I majored in communication studies to be an anchorwoman, I'd probably be best at lawyer-ing or judge-ing. But my dream job is to be the person who names the paint colors. Seriously. "Why yes, I'll gladly work for free in the summer," said no teacher ever. You Get to Pick One Superpower: What Is It? Morning. I jump right out of bed when my alarm goes off and can't stand when other people *husband* press snooze. 16 times. 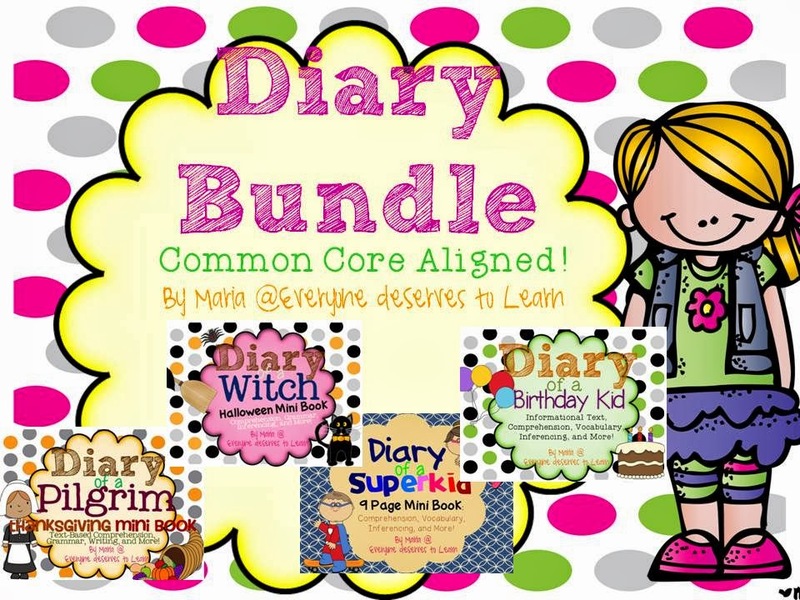 What's Your Favorite Resource in Your TPT Shop? Whatever the newest is! But I'm really proud of my Diary series- I work so hard on those babies and my students LOVE them- they ask, "When can we read another diary?" This is an old picture- there are now 10 diaries in the series. I'm left-handed. I think I speak for all persons of handedness when I say we have a hard time writing on the board. My left pinky is covered in ink by the end of every day. Hope you enjoyed learning a little about me! Go check out all the other link-ups at Falling into First. I'm pretty lucky to live in a place where there are plenty of farmers' markets. I have three ways to get home from school and there's a farmer's market each way. I stopped this week and picked up some potatoes, berries, and some beautiful zucchini that were calling my name. 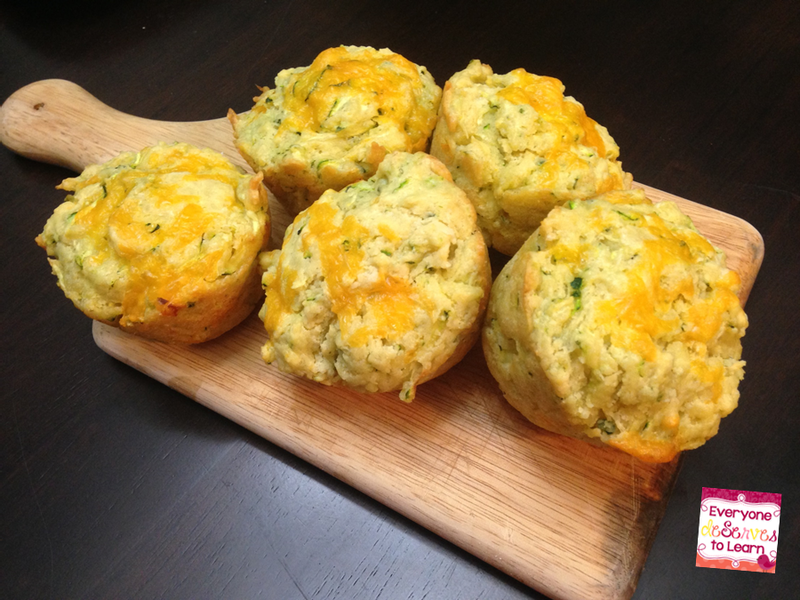 After researching a few recipes, I decided to make both a sweet and savory version of zucchini muffins. 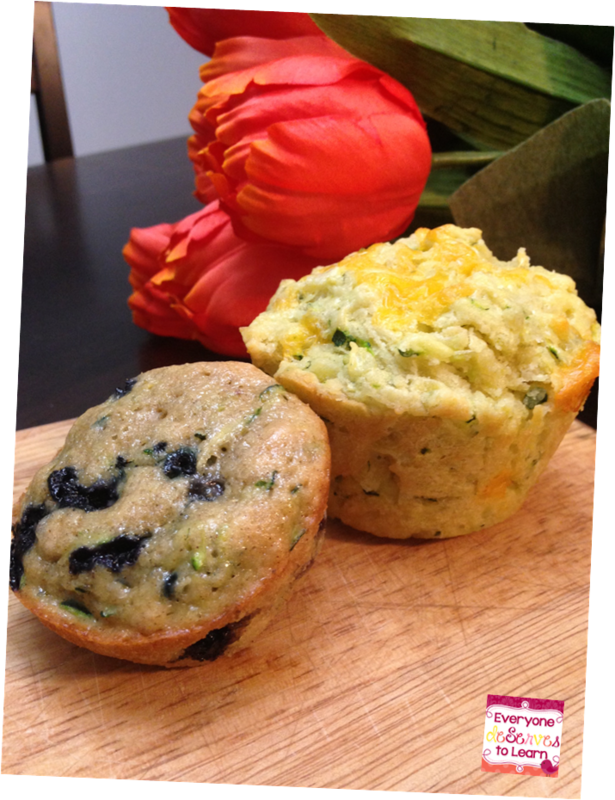 I found that the cheddar zucchini muffins came out drier than the blueberry zucchini muffins, but they are both excellent breakfasts or snacks. Preheat oven to 350 degrees. 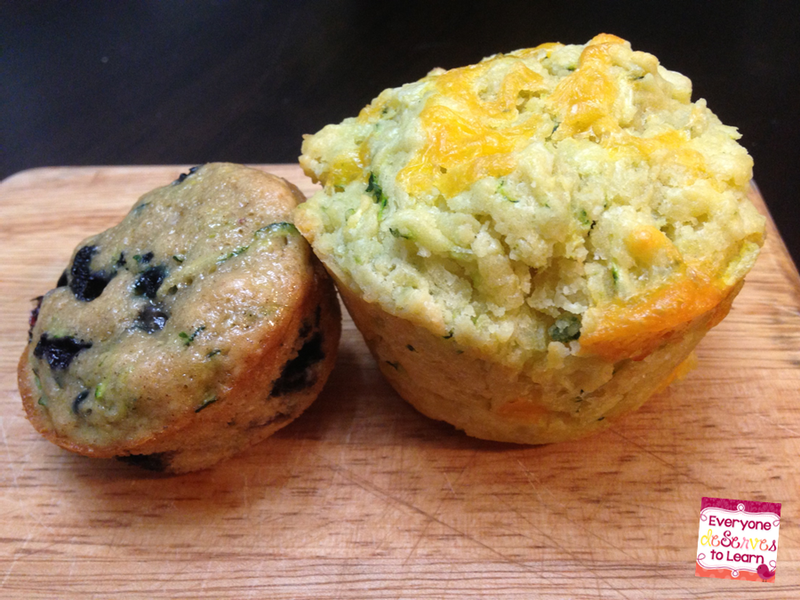 Prepare a muffin pan. Combine salt, flour, baking powder and baking soda in a large bowl and mix to combine. Whisk eggs, oil, and sour cream together in another bowl. Add to dry ingredients and mix just until incorporated. Fold in the zucchini and the cheese, making sure to mix well. Divide batter between muffin cups (I used a 6 cup pan) and toss with remaining cheese. Bake for 20 minutes. Preheat oven to 350 degrees. 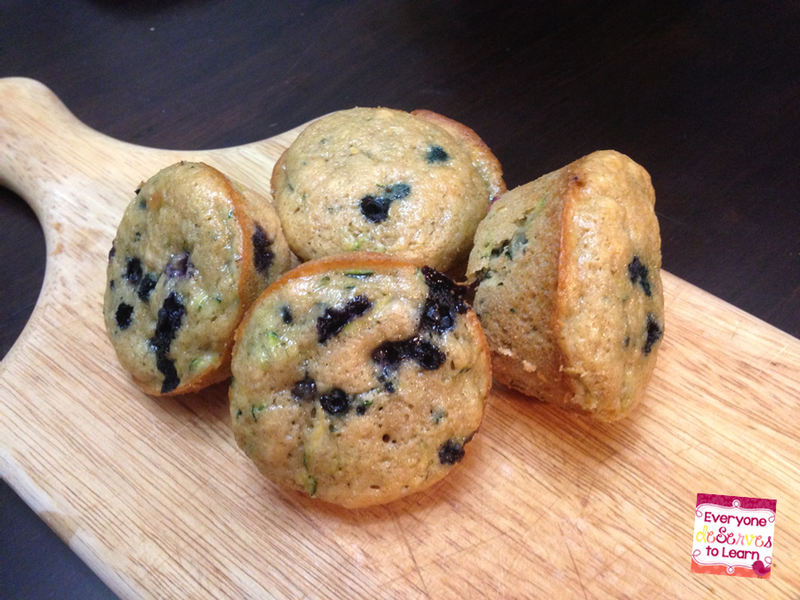 Prepare a muffin pan (I used a 12 cup for these). Combine salt, flour, baking powder, baking soda, and spices in a large bowl and mix to combine. Whisk sugar, eggs, vanilla, and sour cream together in another bowl. Add to dry ingredients and mix just until incorporated. 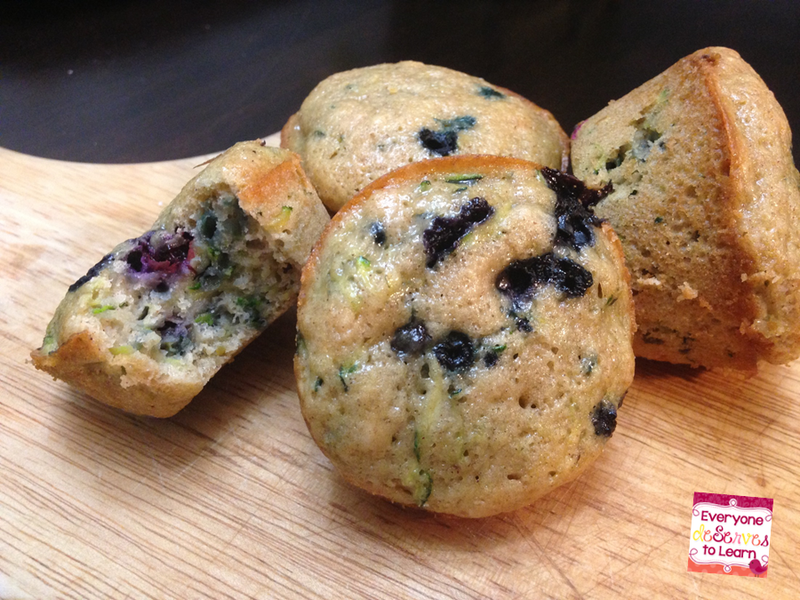 Fold in the zucchini and the blueberries, making sure to mix well. Divide batter between muffin cups (I used a 6 cup pan) and toss with remaining cheese. Bake for 20-25 minutes. Cool in the pan then remove to a wire rack. Serve or freeze! I also had time this week to work on some Back to School items for my classroom. I am moving away from the prize box that I've had because it is too much work to keep up with. 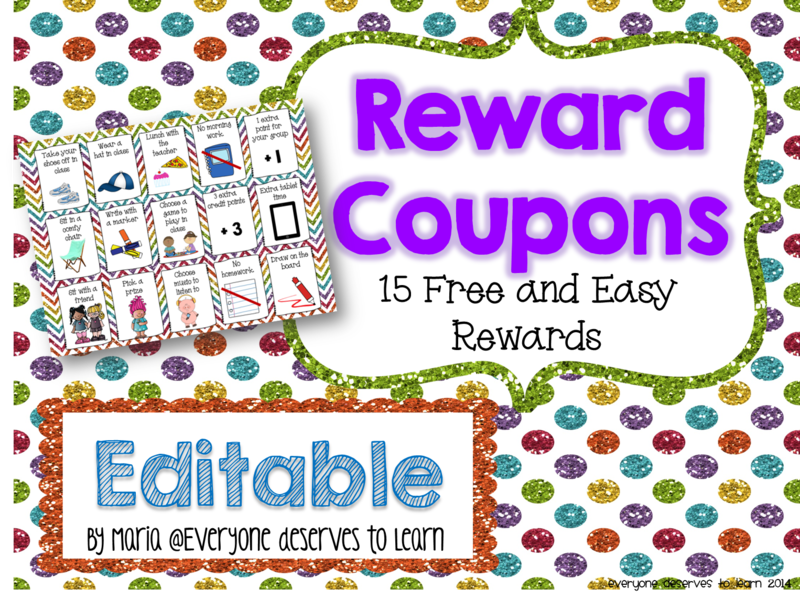 I decided to make some reward coupons instead, using rewards that I know my students look forward to. There are lots of coupons out there on TPT, but since I'm not a homeroom teacher many don't apply to me. I made mine editable in case you'd like to add some for your own classroom- just click the picture to grab them from TPT. I also made new birthday posters. I had made a set last year and just got tired of looking at them. 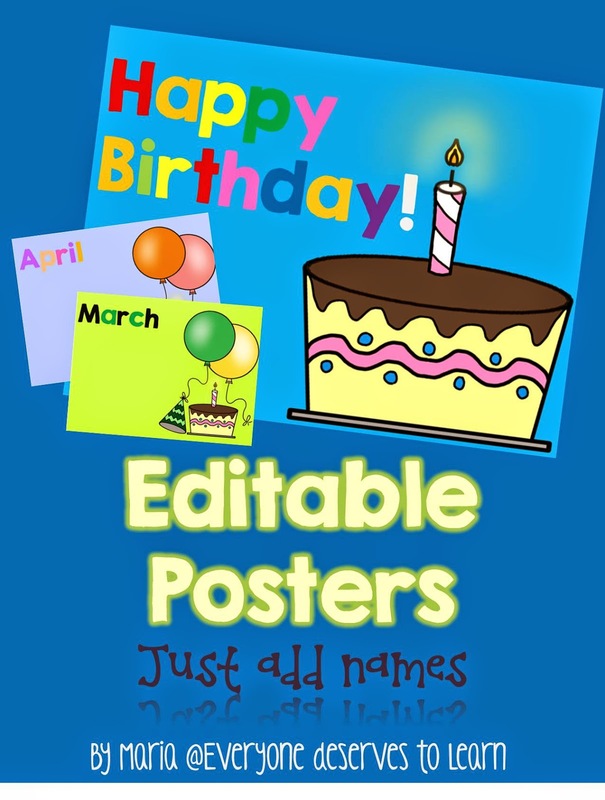 It's really important for me to have clear, easy to read birthday posters because many of my students come to the USA not knowing when their birthday is; we referenced our posters almost daily to help with months and special days. I made these editable too, so you can just type in the names and days for your class list. 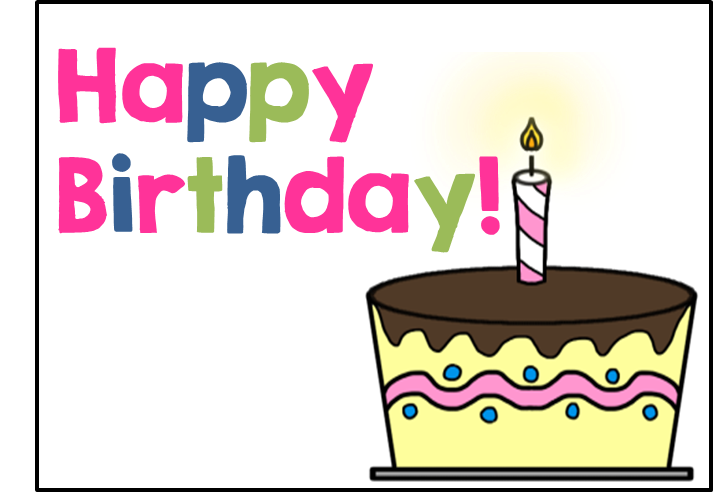 Click the picture to grab them from Google Drive! Thanks for stopping by! Hope you linked up with Tara for Monday Made-It! I mentioned a few days ago that we had adopted our sweet puppy, Lacey. It's been an adjustment for sure- but in a good way! Most of the time she's happy to sleep, chew on a bone, or chase her tail, but occasionally she gets into a little mischief. 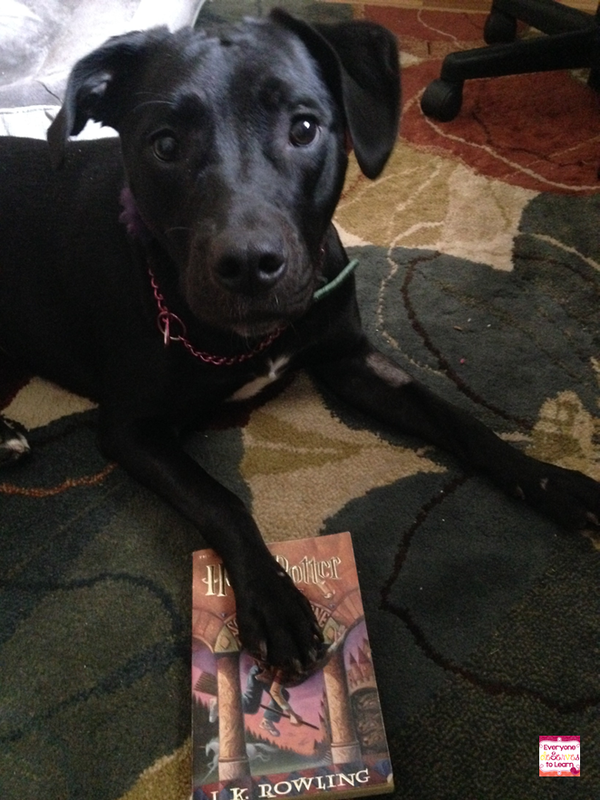 I walked away for a minute (usually she follows me) and when I came back she had Harry Potter off the shelf and was looking quite guilty. Then I took this picture. I <3 it and want to use it in my classroom. How would you use this picture in your classroom? 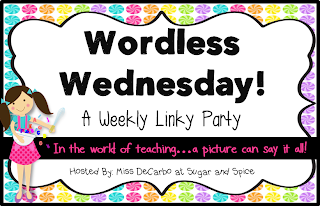 Link up with Miss DeCarbo for Wordless Wednesday! Here's a question for TPT sellers: do you like being a buyer or a seller better? I love being a seller because of all the networking and collaboration that happens between sellers and bloggers, but I love being a buyer because of how much better a teacher I've become. So I can't decide! Using resources other teachers have used and putting my own spin on their ideas is the best PD I've ever had! I'd love to share what I bought at the TPT sale #BTS14 this week and how I plan to use it. 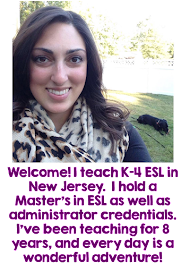 I am going to be teaching 4th and 5th grade combined ESL Language Arts this year, as well as 1st, 2nd, and 3rd ESL. I spent most of my time thinking about what would serve my combined class, since I'm looping with those students as well. Looping is great (expensive, but great) since I already know who needs differentiation in what area. I already have the ZB print alphabet, so the cursive one will go perfectly. My boys need lots and lots of help with parts of speech, so these posters will go right up where the kids can see them. I'm not good at assigning homework. I'm not good at checking homework on the rare occasions I assign it. But, I know my students need extra practice. So I bought this year-long language review. I'll probably assign one or two pages for homework a week, and assign the rest for morning work. I think that's a good compromise! My students all love to do glyphs! I was planning on a different BTS bulletin board, but I saw this and changed my mind. I like that all my grade levels will be able to work on this, and I can include myself. I love to play along! My room isn't the biggest, but it's cozy and it's home for 10 months out of the year. I'm going to use Hope's inspirational quotes to liven up my big back wall. Don't shoot! I haven't had labels on any of my supplies. Or anything else in my room. Yikes! I have bought labels before but never got around to putting them up. I am determined to put labels on my supplies, and these include great pictures- perfect for little ones and newcomers. I'm off to get some printing done. Lots and lots of printing! Link up with Blog Hoppin to share what you bought!